Chocolate Creations, paired with wine is part of the month-long chocolate and wine festival at Newport City Resorts World Manila. 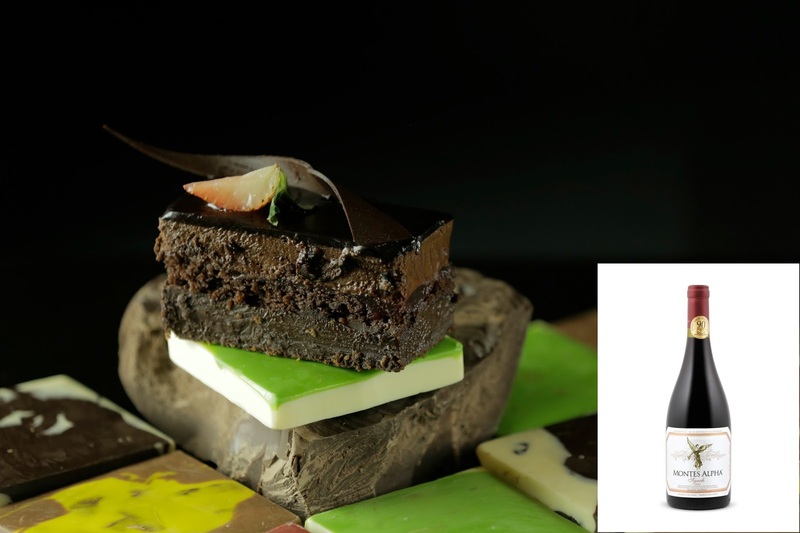 Megaworld Lifestyle Malls and Newport Mall is celebrating the decadent duo of chocolate & wine with delicious pairings, chocolate carvings and more at its Chocolate & Wine Festival this October. 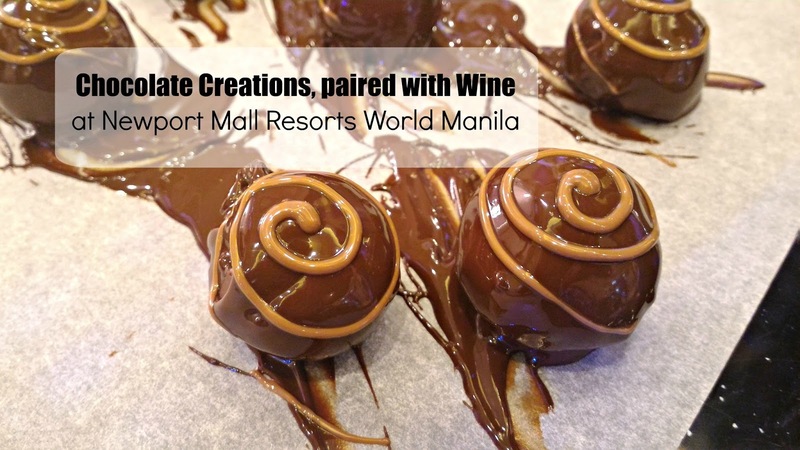 Newport Mall’s Chocolate Creations are even more delectable when paired with wine! Available from Oct. 1 – 31, this collection of chocolate desserts can be enjoyed with a glass of vino at participating establishments. The list is posted at the Chocolate & Wine Gallery at the ground floor of Newport Mall from Oct. 1 – 12. Among the not to be missed pairings this year is a trio of chocolate desserts and wines from Bar 180 – there’s an interesting Chocolate Soup (a rich combination of dark and milk chocolate) topped with walnuts and pistachios, which is paired with a Montes Alpha Cabernet Sauvignon, the Deconstructed Peanut Butter Praline, paired with a Montes Late Harvest Riesling and the Mary Jane Cake, which has Raspberry Jelly and a Dark Chocolate Ganache, to be enjoyed with a glass of Montes Alpha Syrah. I was able to taste the three sets of wine paired with chocolate desserts, among the three sets I really enjoyed the first one, the smell of the wine is good and after I sip, it tasted the high amount of acidity, the wine is semi-sweet, the strong flavors of the wine is perfect for the sweetness of deconstructed peanut butter praline. 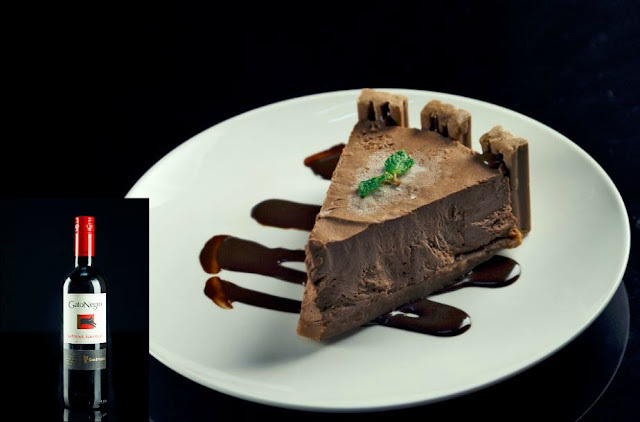 Other chocolate desserts one can try at the festival is Crisostomo’s Madrid, a ChocoMani cake garnished with chocnut candy, drizzled with fondue and topped with mint leaves and their GatoNegro Cabernet Sauvignon. 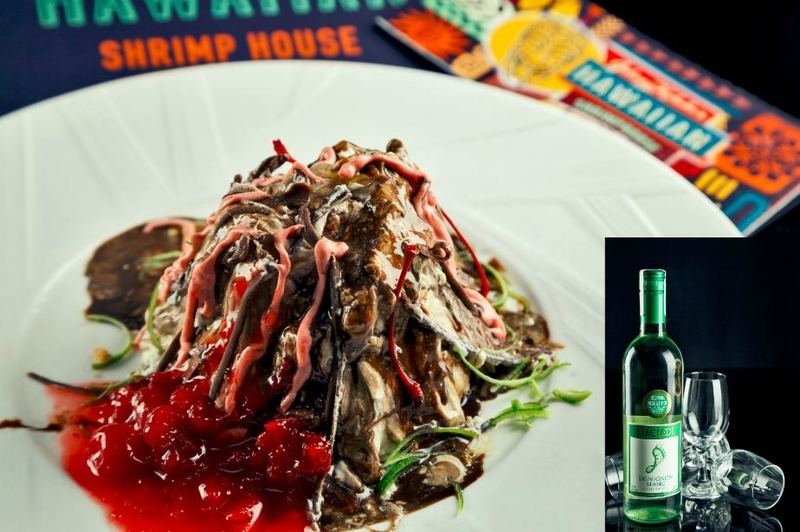 Johnny Kahuku’s Hawaiian Volcano Lava Cake is a luscious spiced dark chocolate cake with raspberry that one can have a glass of their Barefoot Sauvignon Blanc White Wine. 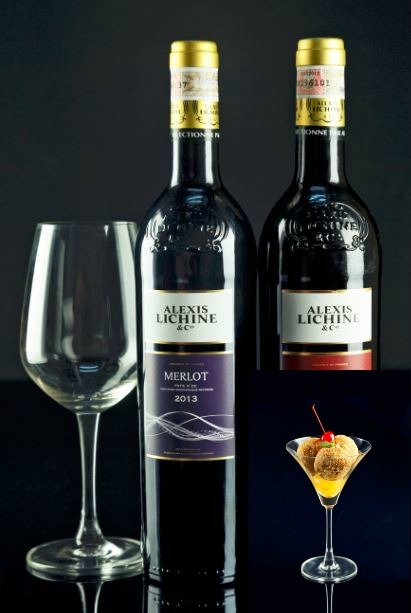 Johnny Chow’s Orange-infused Chocolate Buchi and their Alexis Lichine & Co Cabernet Souvignon or a merlot. For a twist on the typical buchi, Johnny Chow is offering an orange marmalade infused dark chocolate buchi and their Alexis Lichine & Co Cabernet Souvignon or Merlot. The Italian Market Humble Pie and their Fantini Farnese Montepulciano D'abruzzo. 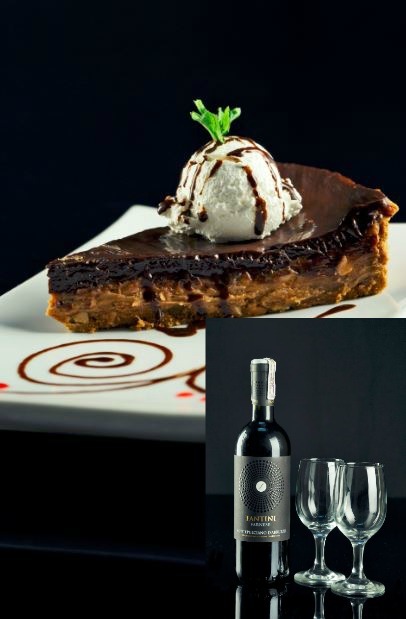 Peanut butter and chocolate fans should definitely stop by The Italian Market for their Humble Pie, a peanut butter and dark chocolate pie made even yummier with vanilla ice cream and a glass of Fantini Farnese Montepulciano D'abruzzo. 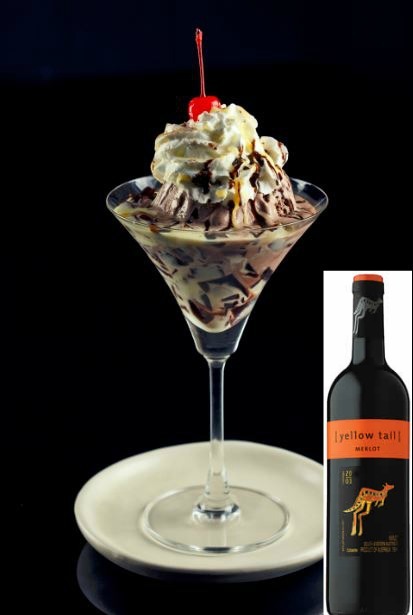 Mr. Kurosawa’s Chocolate Jelly with Cream and their Yellow Tail Australian Wine Merlot. Chocolate ice cream is also represented through Mr. Kurosawa’s Chocolate Jelly with Cream, chocolate ice cream mixed with anglaise and chocolate coffee jelly topped with whipped cream, chocolate powder, and syrup. Mr. Kurosawa also offers a Yellow Tail Australian Wine Merlot. Other delish chocolate dishes include TWG’s Chocolate Macaron, Villa Del Conte’s Praline Balls (choose from nine delectable flavors! 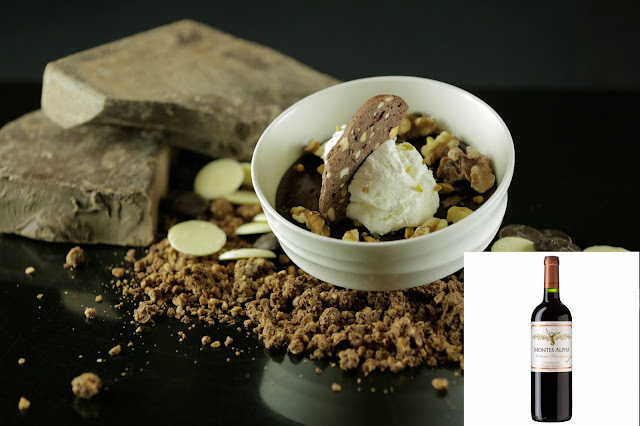 ), FIC’s Tsokolate, a rich full-flavored ice cream inspired by the tsokolate eh and Coffee Bean & Tea Leaf’s cakes. 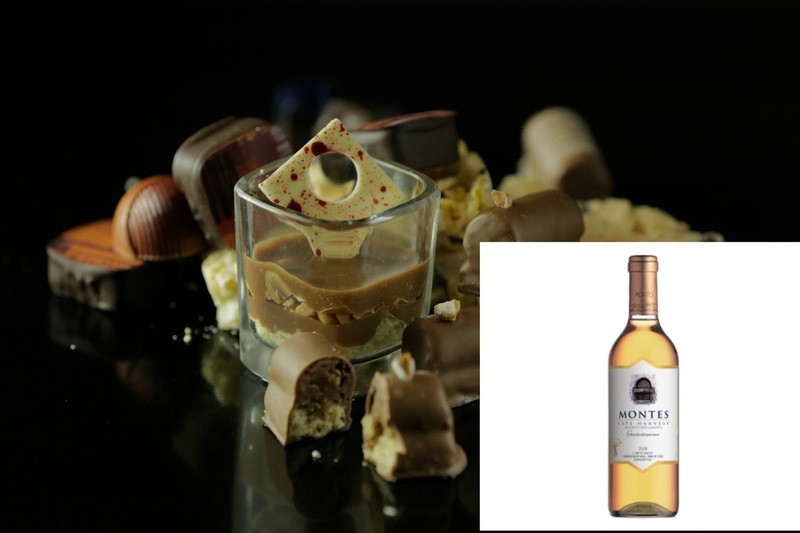 Chocoholics can also enjoy an indulgent chocolate buffet and Chocolate & Wine Pairing Night on Oct. 22, 6 PM at Impressions in Resorts World Manila. Guests can purchase tickets for P1,500 and enjoy a wide selection of chocolate desserts, cakes, dark and white chocolate fountains and more.